A free walking tour is just what it says… well almost. You meet the guide at a pre-designated spot. The guide takes the group on a walking tour. You don’t have to pay ahead but you must tip the guide at the end of the tour. Over the years free walking tours have gained immense popularity and I’ve found the quality to be awesome. However, they are not for everyone or every place. When to take a Free Walking Tour? How to make the most of a Free Walking Tour? What to bring on a Free Walking Tour? Availability at the Destination – Not all cities or counties have an option for free walking tours. Check if the option is available at the destination. We use Trip Advisor or Google to search free walking tours at the destination. Ability to Walk – You’re able to walk for the duration of the tour (generally about 1-3 hours). Most free walking tours are not suitable for strollers, wheelchairs, walking assistance devices. There are usually a few stops, but they don’t always have sitting spots. Conducive Weather – Most free walking tours are outdoors. It’s no fun walking in too much heat, cold or rain. Some people can take more weather variations than others. It depends on personal tolerance. In Person Interaction – You prefer to talk with the guide or fellow tourists and enjoy the interactions. Interest in the Topic – You’re interested in the topic and enjoy listening and asking questions from a local person. No Paid Entrances – Free walking tours don’t include any places that requires a ticket for e.g. museums, exhibitions etc. that are not free. The guide will typically describe it and give tips on visiting it at leisure. Free walking tours are usually led by local experts. It’s possible that they did not have a tour guide certification, but many I’ve spoken with are professors, teachers, history or humanities majors and most importantly, they have lived much of their lives in the area. For example, our guides in Sarajevo and Dubrovnik were kids during the wars in the Balkans. Our guide in Jodhpur (not free) was a professor. The tour is free to start with, so unlike paid tours, you don’t have to feel compelled to stick around to the end if it’s bad. But do have the courtesy to tell the guide and tip before leaving. Food is not provided in the tour except if the guide stops at a restaurant to get samples of local food(like our guides in Prague and Bo Kaap in Cape Town). This is great for vegetarians, vegans, and people with food restrictions because you don’t have to deal with the limited and generally pathetic tour food. Above all, walking in an area provides a much stronger connection to the location and subtle nuances that are not possible otherwise. The free walking tours lend a lot of flexibility and don’t typically require a reservation. They meet and start the tour at a very central and easily accessible location where the group can be easily spotted. The tours start with an overview at the starting location, so even if you’re running late, just show up and join the group. 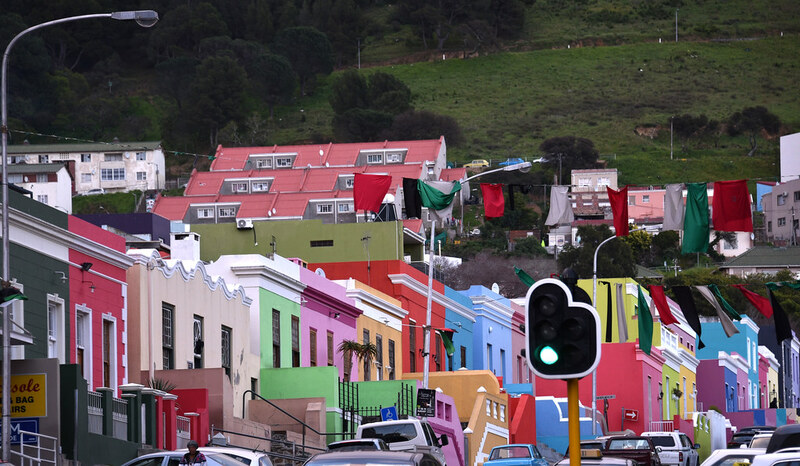 In Cape Town’s Bo Kaap tour we were extremely late, so we met them directly in Bo Kaap because we figured out the route they would have to take. By the definition, I would consider the ranger-led walks also as free walking tours. Most National Parks in the US have ranger-led group walks where they share the natural history, geology, flora, fauna, wildlife and more. The schedule is published on a board or on signs. It’s the best way to learn about our great national parks. A free walking tour of Sarajevo gets up close to the dramatic history of Bosnia &amp; Herzegovina through the centuries. Today, the symbols remain prominent. Walking tours cover only small areas. While it works well for places in proximity, it is not an option for destinations that in driving distance. Free walking tours are not well suited for those that can not walk at a quick pace. The tours don’t always go through even roads, especially in European cities that have cobbled streets and narrow alleyways. Like any tour, free walking tours are great for quick pictures and the guides will point to the perfect shot. But time constraints don’t allow for a particular shot or a perfect composition. Free walking tours are only offered in limited contexts. They don’t include museums, drives, rides or anything that needs payment. Free walking tour of Venice tells us how enormous this church really is because its foundation (in the sea) is even bigger. They had to entire forests on the mainland to build the foundation. Check the ratings and reviews on Trip Advisor before picking the group. Check the route and topic and its potential overlap with other activities. Ask questions – you’re taking a tour with a human guide who has immense knowledge, passion and experience of the area – be curious, engage and discuss your questions. Sometimes you can pay extra to learn more. Ask for references to help plan meals or other aspects of the trip. The guide will most likely tell you the most authentic and best places. I like to take notes for reference for when I’m writing a blog or post on social media. It helps me remember the facts and stories. The free walking tour groups can be of any size. The tour we took in Macedonia was only 3 people (including us) but more typically they are 10-20 people. Some companies split the group when it’s around 15 people. To get the most from the tour, stay close to the guide, especially if its a large group. Write a review on Trip Advisor so others can find the tour. Our guide stopped for the best gelato in Venice, after the stop for amazing Venetian small bites. Cash to tip the tour guide. The tip amount will depend on the on the quality of the experience, the price of similar paid walking tours and the size of the group. On an average, around $10-$20 per person is a fair amount. Cash to pay for food if you have a local food sampling stop. Good walking shoes will go a long way in making the experience enjoyable. Drinking water as not all routes may have drinking water. If you’re a note taker bring something to take notes like phone, writing pad and paper. Old water fountains still remain in Sarajevo but one had to stand in line and risk life to get water during the Sarajevo Siege. They are perfect to quench your thirst on free walking tours. 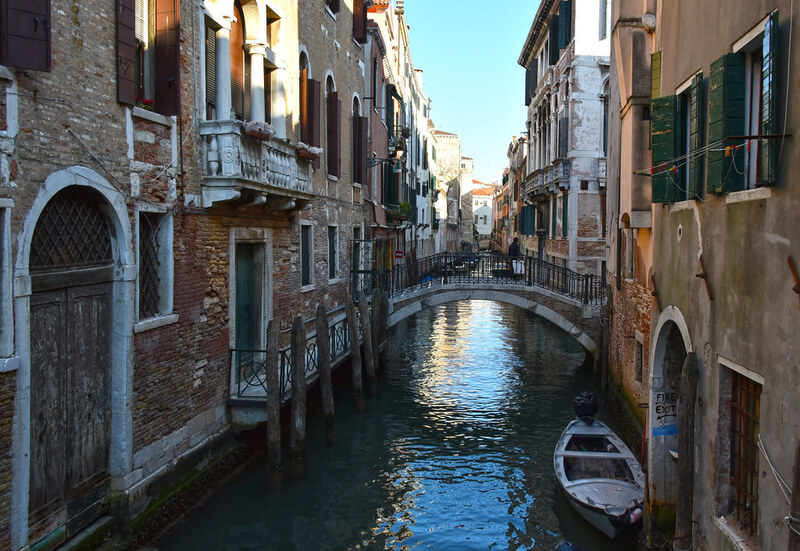 History and Construction of Venice. The wild stories of Edinburg, Scotland. Ivana, our free-walking-tour guide in Dubrovnik was born during the bombings, in an underground make-shift hospital. 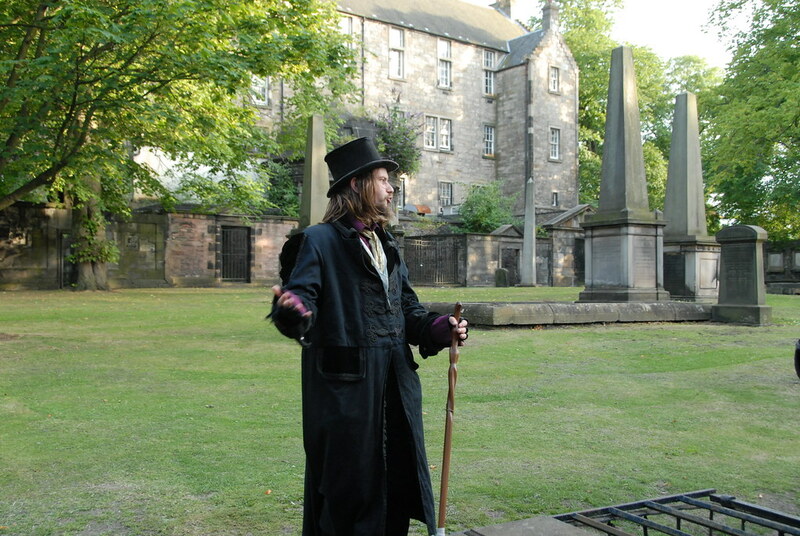 Our free walking tour guide in Edinburg, Scotland told us some unimaginable stories of Scotland and Edinburg’s life in the past. To my surprise, when I researched, I found them to be true! He was an amazing storyteller. He even all dressed in the period outfit. I would totally recommend visit Sarajevo. The history is so fascinating, so recent and so unexpected. I hope they recover and thrive despite all the challenges. I’d be curious to know. You’re right Arv, they are tip based. No good thing can or should be free. Well if someone tries to get away without paying for the service as deserved, they deserved to be mocked 🙂 However, all the guides I’ve come across are the nicest people. It may be because they do not want a bad review on Trip Advisor. But also I have not noticed anyone trying to escape without paying their part. Like any tip situation, the confusing part is how much is the right amount to pay. I would say, compare with similar tours at that location and tip according to the service level. I haven’t done many free walking tours but I would love to do more. My favorite has been a Shoreditch (in London) Street Art Tour. Hi Anisa, street art tour would be an ideal topic for a free walking tour. Most of the free walking tours are given by people passionate and knowledgeable about local things, essentially topics that large or more established companies can’t cater to. We are always so focused on photography, that we don’t usually participate in walking tours or ranger-led tours in the National Parks. I think a free walking tour would be good when you arrive in a new area. Free walking tour or any tour is generally not the best for photography, unless it’s specifically a photography tour. But they are great to understand the place and also to find good spots for photography and return with more time. Great overview of walking tours. I have definitely considered doing one in the future now that I have a better understanding of how they operate & what I can get out of them. Thanks for the post. I’ve pinned it for the future! I’m delighted to help improve the understanding. It can be intimidating and word ‘free’ in the ‘free walking tour’ can make any one suspicious. Those are some very good points! I have never done free walking tours much, but this most makes me thing I maybe should consider them! Thanks for sharing. They seem to be taking off in popularity… for some good reasons. They provide the intimate experience with the place and its culture at a more affordable price. Do check it out next time. I really enjoy exploring cities on foot. Thanks for sharing your experience! Couldn’t agree more – On-foot is really the best way to connect with a place. I think they’re great because it’s usually locals and local insights! Also, because it’s dependent on tips the locals’ passion and motivation glows from their words. I’ve done then in EU and South Africa and they provided a lot of good insight!